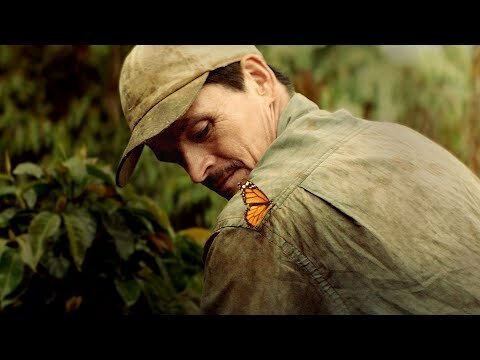 I agree with the branding - it's almost embarassing, George Cluney is the "Nespresso ambassador". Every so often Nespresso send a magazine that's full of affluent and hip people drinking nespresso out of tiny glass cups. Articles about yachting and saving the Bongolian minotoad (or something like that). If you phone up customer services you are made to feel inferior by the snooty attitude of the reps (cos that's what they ultimately are). At the end of the day they sell little water heaters that push water through coffee powder. In fact, I've stopped using them because of customer service, totally patronising Having said all that, it makes an excellent cup of espresso - always fresh and consistently good. It also allows you to make individual coffes i.e. if you have 4 friends you can make one decaf, one weak, one strong and one in the middle. Without opening and grinding different coffee combinations and without mess. so stick that in your pipe!!!!!! It is indeed. Charlie Booker also wrote a piece in the Guardian headed: [SIZE=2]Nespresso isn't just coffee ... it's an aspirational lifestyle marketing exercise by desperate lunatics[/SIZE] http://www.guardian.co.uk/commentisfree/2007/nov/26/drink.comment The FT said: The trick is to make such goods alluring and to set a price that is steep but affordable. UK newspaper executives sometimes moan that consumers refuse to pay 50p for a newspaper when they spend £2 on a coffee at Starbucks, but a newspaper is not the same thing as a Starbucks espresso. 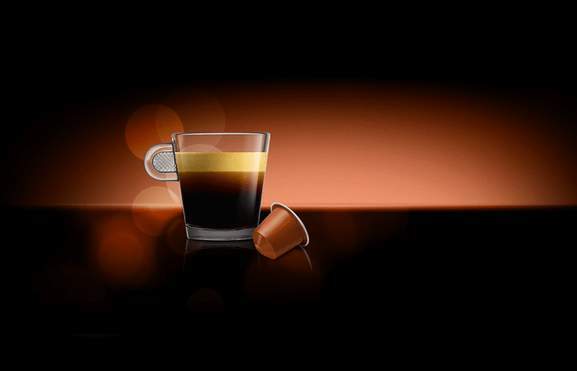 A shot of Nespresso – essentially – is the same. People can have their own coffee shop at home. They save because, even though it is more expensive than drip coffee, it is still a third of the price of Starbucks,” says Jay Brewer, founder of singleservecoffee.com, a website devoted entirely to, well, you get the idea. I suppose it depends on your point of view, and whether you're happy to pay Nestlé way over the odds in the hope that the Nespresso brand will impress people. It's the Coke (or maybe the McDonald's) of the coffee world. Some people like brands, some just think they're naff. Yes there is hence the possible £39.99. But I wondered if this still qualifies as its graded? Has anyone ordered anything from choicebrand? Is there a new £30 cash back deal? I think the one done at Christmas has long since ended. Also please note that, in NERO, a medium cup of coffee costs about 1.5 pounds; in COSTA &amp; starbucks even more. Using this coffee machine you make even higher quality coffee than those coffee shops with a price of 29P, what more do you want? already told u, if you need a nice cup of coffee, but are lazy for buying beans, making powder, waiting long time to make coffee, you can choose this one. at least u don't have to clean the coffee machine. the quality of this coffee is of high class. If money is all you concern, OK. You wanna buy a cheaper coffee machine, you won't get the same taste as this one. buying an expensive one may do, but at the same time, you have to buy coffee beans and a blender for coffee beans, you don't wanna buy powder directly from coffee shop because they are not fresh after being blended for a couple of hours.That's why good coffee shops all have blender so that they can blend coffee beans and make fresh coffee. when you consider the price,please also consider the quality of the coffee. Or at least try the coffee before you make any post! Note: you can find it cheaper on Nespresso official site, but that one you have to pay delivery fee, in total 102 (72 after cashback). This one already includes delivery fee. Reduced from the mental price of £655 Cant find it cheaper elsewhere! Only 2 left though! showing £655 for me.. Shame I would of had one. you must be been unlucky! ive had mine for 5 years and still going strong! I understand its more than most people want to pay for 'pod' coffee maker, however if i was just about to pay £700 in john lewis for one i would be grateful for seeing this deal! They had a five year warranty ;-) Mine's still going strong nine years later. That's less than £10 a year. However this is stupidly expensive for a capsule coffee machine. I'd have a proper coffee machine for that kind of money. In my experience those Porsche designed appliances are terrible, your just paying for the Porsche design. The kettles were £80 and didn't last more than a year or so. What a bargain..... Ordered. £270 on the Nesspresso web site. Thank you :) Just bought 2, one for me and one for the parents. D'oh! Sorry. I didn't spot that. They might still have some in store. To be honset, like most of the best deals on here, it's such a good one I wouldn't be surprised if they'd had a run on them. A bit like Argos gold chains! Hey - ho! I tried! You can check through customer services on 08445616161. Don't bother if you're in the north east! That one's out of stock too! Does anyone know if this is in stock anywhere? Nice deal, now thats bargain hunting!! thats why we bpought a model up from this as you got the aerochinno as part of the boxset and with 10% we got off in store and the £30 cashback it only cost us £83 and the aeroccino is around £40 quid by itself I believe. you buy the aeroccino that goes with it. So how do you make a proper Latte when this model has no milk steamer. Just ordered. Voted hot. :) None left at House of Fraser - same price here delivered anyway. Cheers. Excellent deal, voting hot. The only problem with Nespresso is that having got used to it you will be consistently disappointed when you have coffee out, even at the more expensive coffee houses and restaurants. The coffee that these use is Premier Cru, sourced from the best plantations. Those that know about quality coffee use these machines, unless they are getting beans to grind, in which case you get inconsistencies in the quality. The controls used when making the capsules are very stringent. I love coffee and have drunk it made in a variety of ways - for the best and most consistent drink, this is easily the best system and certainly not to be confused with things like Senseo or Tassimo. Thanks for the post. I voted cold because, to me, the way to make coffee is either with a proper filter, or a proper espresso maker... not a capsule. Good coffee is worth making properly IMHO. But - if you want to pay for convenience of capsules and a flashy machine, then it's probably a good deal. I love the flexibility of a normal espresso machine (have Pavoni at home and I roast my own batches of green beans) but it does get quite messy and takes time, both of which are incompatible with the office environment. Except for the more exotic (and expensive) Gaggia and Lavazza pod systems the Nespresso is the only clean way of having a good shot of the stuff at the office so at this price it was almost an impulse buy! No more starbucks for me yay :) It couldn't be cleaner you never even touch the spent pods. The lever releases the old spent pod and lets you put a new one in, you press the button and out comes the magical juice. The old spent pods drop into a box which you just throw away (or eventually recycle when it does come over here) The new pods are actually nice to look at so you can have them in a jar or in the fancy nespresso display cases. The 2nd best price I saw for this was at The Emporium for £112.55 delivered, so this is a nice discount. If you're looking to buy a clean, hassle free espresso machine and like the idea of making nice hot foamy milk for your cappucinos then go for it. Buy a machine that allows use of ground coffee too if you must have capsules. The pods are SO overpriced and offer little benefit, at least that way you can try out differnt blends and types. 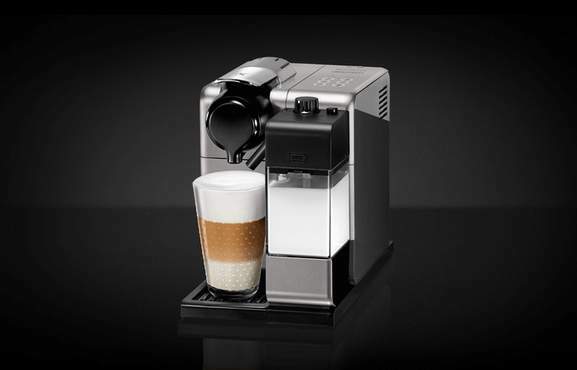 Hi- Nespresso are offering £30 on any machine purchased between now and 25th. Of January. I know that these machines are not to everyones taste (or budget) But £30 is £30 !! What is the "Classic" range? I can't find any makes with Classic in the title? Has anyone tried buying capsules on Ebay as they seem to sell loads on there. Not sure if the price is much better. Yeah its upto 25% so you can't buy this for £37.50 after discounts ! This has 10% off so its £90 less £30 so its still £60. If you like coffee's based on espressos rather than filter or instant type coffee, then there really isn't a better system. The pods keep the coffee really fresh and make it simple to keep a range to suit your mood at the time. It isn't the cheapest at 25p a cup, but it is so easy and convenient. A good friend of mine raved about his Tassimo then was gutted when he tried the cortado I made him after dinner. My parents have a really expensive fully automatic AEG coffee machine (around £800 worth). It still doesn't do as good coffee, but is more conveniant (press button, wait for fresh espresso). £38-£60 is a silly cheap price. 8g of ground coffee for 30p....how generous! :? The link is in the original post. Thank you, I ordered the one with the aeroccino for £129, then £109 and £79 when I get the cash back (well it is my Christmas present from my mum). I looked at them in Harrods and the sample coffee i had was one of the best ever, so glad I stumbled across this offer. Hi, on the cash back form it advises ' if you selected the cash-back, and your application is validated, a cheque will be sent to you within 4 weeks '. I am thinking about getting a Magimix Nespresso coffee machine for my other half. He is after the Cube one - is this the one you have? Any suggestions much appreciated. Anyone know how long the 'cashback' takes to come? I love my little Magimix Nespresso machine, but I would love it more if it was £20 instead of £60!! Makes a lovely cup of expensive coffee Yorkie! Yeh I managed to bag three of these last week. Just wanted to bump this - my machine arrived today. Box was battered but the machine new. BTW anyone should drink the sample capsules quickly - they expire in 2 weeks! Very chuffed overall! Thanks again OP! nooooooooooooooooooooooooooooooooooo, i hope they get some more! Nooooo- its sold out! Would have made a fantastic present! Is this like a tassimo? Do you need to use the capsules that they sell or can you buy normal ground coffee and use that in the machine? £40 cashback to claim on the purchase of any NESPRESSO machine to 3rd June 2007! Hi, my other half is after a Nespresso machine - great time to buy one with this deal! Those that have these machines - are there any recommendations for the best one / type - in your opinion? Many thanks. is there a nespresso machine that looks like/nothing like a dog ith its tongue out. probs another make? *goes of to find images of it Edit: found it is a different make Nescafe Dolce Gusto Machine by Krups. Yes. You not seeing it? Is the link supposed to open a pdf file? nespresso coffee machine for £40!!! 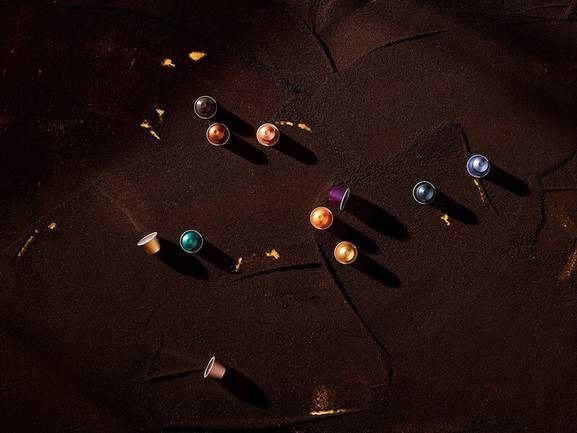 umm, link resolves as... http://http//www.nespresso.com/precom/sepo/wp0610 :? is there anyway of putting googlemaps as my satnav on my dash in new Mercedes? Has anyone experienced delivery issues with DHL? Virgin Media laid cable across my front garden without having my permission. Advice needed please. Filling in tick boxes on an online application form - how to do? Do you need a passport to travel from N. Ireland to England? how do you find out who a mobile number belongs to?